To increase the odds of getting a book offer, it’s essential to think like an acquiring editor. When it comes to successful publishing, category is king. Yes, it may sound unsexy or restrictive, but a category does not to take away from your work’s uniqueness. It’s a necessary beacon. Even the most camera-shy should get with the picture. Like an appealing cover and a strong book title, a quality author photo is an essential part of the publication “package” for both indie and traditionally published authors in most any format or genre. Writing a strong query letter is a necessary part of procuring a literary agent. But sometimes that one all-important page can feel, well, overwhelming. As daunting as it can seem, most literary agents and acquiring editors are open to discovering new talent. And a big part of that is reading first novel manuscripts. Unfortunately, first novels too often share writing tics, quirky choices, or downright clichés. These common missteps can hurt your chance of being the brilliant gem in their inbox. Writing simply often gets a bad rap. It's viewed as "dumbed down" or creatively limiting. Why should someone feel sad when they can be in a state of melancholy? Here's a simple but often overlooked rule to creating believable characters in your fiction. Authors know their work best but when a trusted editor points out an issue in your manuscript, listen. The writer and a reader can experience narratives very differently. How do you know which freelance editor is best for your project? When it comes to writing first drafts, beware the self-defeating bar of perfectionism. Ask a Book Editor Writing Tip: A Case for "Said"
Here's why plain ol' "said" should be your default verb for dialogue. Greatly enjoyed talking all things editing, writing, and publishing at StoryExpo 2018's first NY conference. 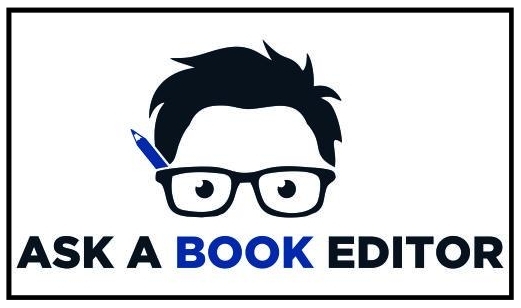 As a developmental editor, I'm honored to have been included--and direct quoted--in Reedsy's insightful "How to Write a Book Proposal" article plus super handy template (packed with additional expert tips). Check it out! Crafting the Introduction to a nonfiction book—especially for works of “prescriptive nonfiction” (e.g., how-to, self-help, anything offering advice or insight)—is often one of the hardest tasks writers face. There’s so much self-pressure to make it perfect that many a promising idea is paralyzed or abandoned before even reaching Chapter One. But it doesn’t have to be intimidating.